I heard Catriona Child talk about her book at the Portobello Book Festival recently and was very intrigued by the sound of the story. Catriona was kind enough to take part in a Q&A for my blog which I posted last week. You can find out more about her here : Author in the Spotlight. 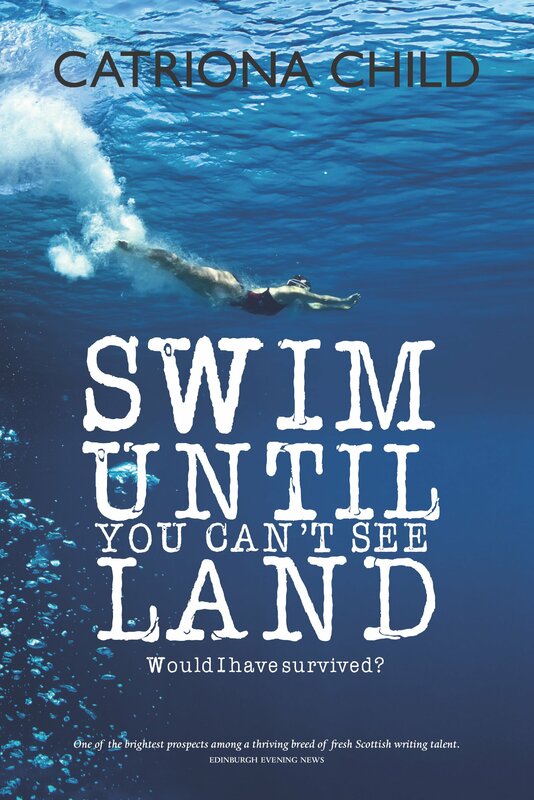 Swim Until You Can’t See Land tells the story of two women and takes place over two timeframes. Mariele was a secret agent in World War 2 and Hannah is an ex international swimmer trying to come to terms with a career-ending injury. At the very beginning of the story, there is a chance meeting between the two women which leads Hannah to try to find out more about Mariele. The author has cleverly interwoven the two stories in such a way that you get engrossed in one part, the chapter ends leaving you wanting to know more, then you are gripped again by the next part of the tale. I was really struck by Mariele’s story. She had been incredibly brave during the war, though was really just an ordinary girl. So many ordinary people would have had extraordinary stories of courage during wartime and yet so many would not have spoken of them afterwards. Sometimes even close family didn’t know what their relatives had seen and experienced during the war. Did anyone know what Mariele has suffered and what bravery she had shown? Approaching the end of her life it appears that she has no-one and I found that so sad. Hannah becomes determined to find out what she can about Mariele and as she does, I felt that she also came to be more accepting of her own dashed hopes. Her troubles and disappointments were put into perspective. It is difficult to say more about the book without giving away some of the plot so I would just say that this is a book to read for yourself. It made me think about how everybody has their own stories and secrets and how brave people were during the war. It is well plotted, beautifully written and is very thought-provoking. Swim Until You Can’t See Land charts the relationship between two women born sixty years apart, whose chance encounter marks a turning point for the younger of the two. In her early twenties, Hannah Wright is forced to give up a promising career as a professional swimmer, and is having difficulty adjusting to her narrowed horizons. She is in danger of becoming embittered, haunted by a lost future. Marièle Downie may now be old and frail, but her exploits as an agent in occupied France during ww2 reveal her as a woman of extraordinary spirit. She survives, unbroken by capture and interrogation. Hannah s delight in the medium of water and the rhythms of swimming are set in dramatic counterpoint to Marièle s experience of torture by water, an ordeal that puts her in touch with her core strength something Hannah starts to discover in herself.